Why worry when you can chime? 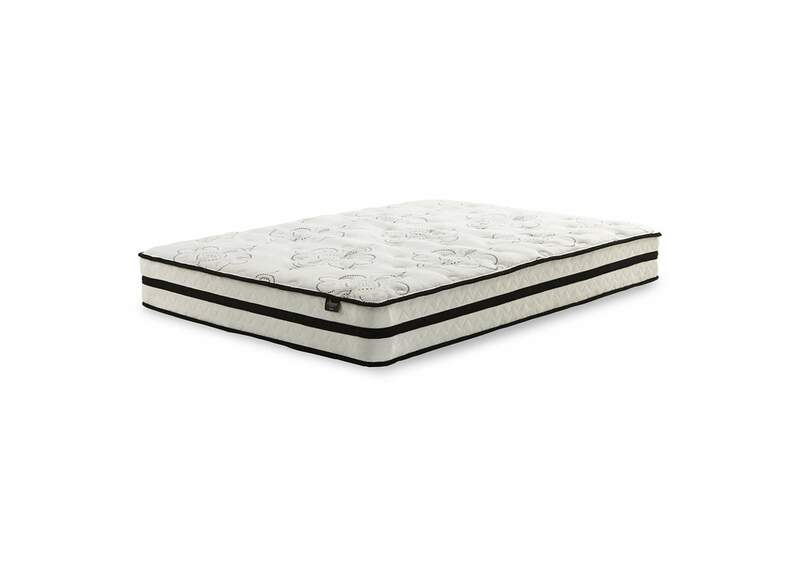 With the Sierra Sleep® Chime hybrid innerspring queen mattress, you have endless possibilities for restful sleep. You get the best of both worlds-the pressure relief of cooling gel-infused memory foam, coupled with body contouring pocketed coils for superior support. Rest assured that high density quilt foam provides the comforting feel you love. Plus, this mattress arrives in a box for quick easy setup. Simply bring it to your room, cut away the plastic wrap, and unroll. You'll be amazed at how it fully expands within minutes. Foundation\/box spring available, sold separately.